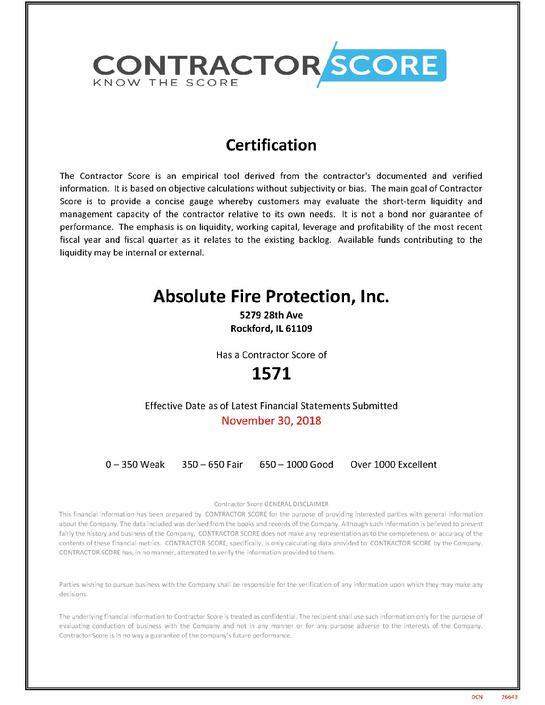 Absolute Fire Protection, Inc. receives yet another in an unbroken string of EXCELLENT financial scores from Contractor’s Score, Inc. As of November 30, 2018 we received a score of 1571! Scores over 1000 are considered Excellent! 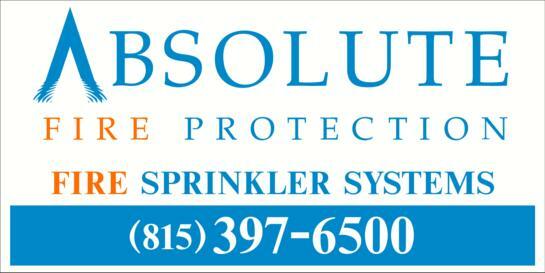 A solid fiscal position is a top priority for Absolute Fire Protection. Maintaining healthy cash balances, no debt and conservative money management has earned this score. Contractor Score, an organization that's rapidly becoming the gold standard for measuring contractors' fiscal health. Contractor Score helps measure the key aspects for a contractor's short-term financial and management capacity. Contractor Score LLC is a management consulting firm specializing in the construction industry. The management team has worked for over 30 years with contractors and their organizations.